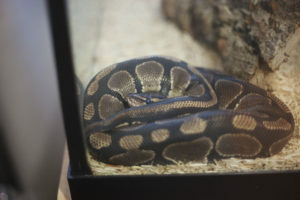 There are two sets of cues that will let you know that a ball python is in the impending shed stage, meaning that it’s going to begin shedding its skin soon (roughly within the next week or two). These two sets of cues are behavioural cues and physical cues. 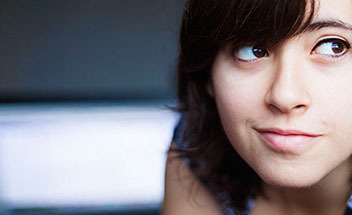 Of the two, the physical cues are much easier to identify. Physical cues may include the snake looking washed out or more grey in colour, eyes turning blue, or skin looking wrinkly. 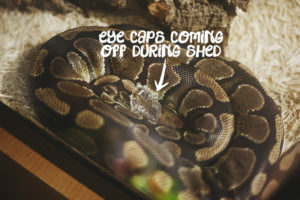 Unfortunately, although noticing an impending shed is fairly easy for an attentive long-time snake owner who has seen many sheds before, the physical cues may not be as obvious for a first-time ball python owner. Eyes do eventually turn black again just before shed, so it is possible to miss the blue-eyed stage, especially since eyes at times only appear to be blue from certain angles. Also, although there is a noticeable colour difference, and a washed-out appearance, under certain light or in the dark, it is easy to miss seeing this change. In order to combat this difficulty, be as attentive to your pet as possible, inspecting it at least twice a day. 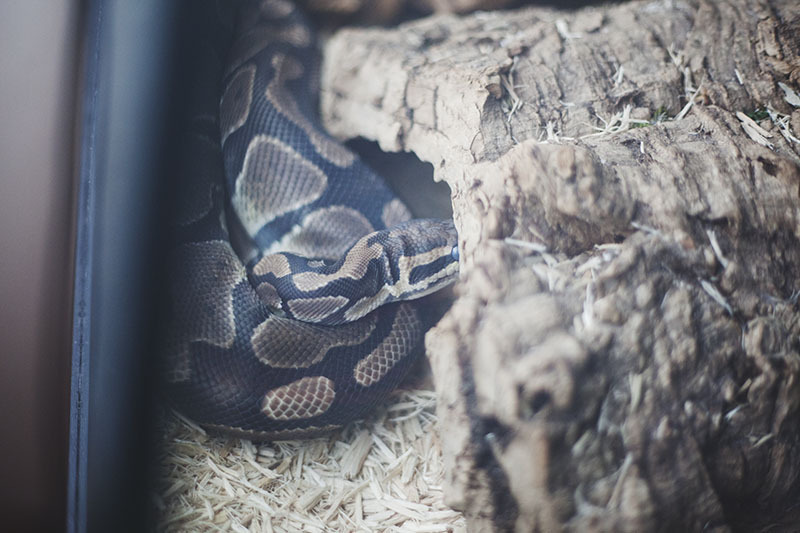 Make sure to take a good look at your ball python from quite a few different angles each time you inspect it in order to properly assess whether or not it is nearing shed. 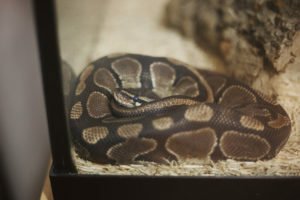 Behavioural cues vary from ball python to ball python, and the reason they are not as easy to recognize as pre-shedding behaviours is because they can often be the result of something other than an impending shed. 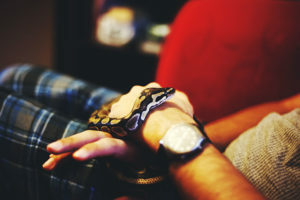 Some ball pythons, for example, may become increasingly lethargic for the weeks prior to a shed, and most will lose their appetite. 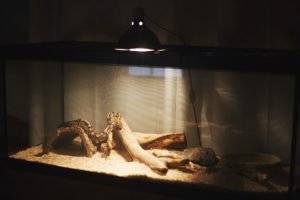 Yet lethargy may be caused by temperatures in the enclosure being too cold, by the snake having recently eaten, or by a multitude of other causes. 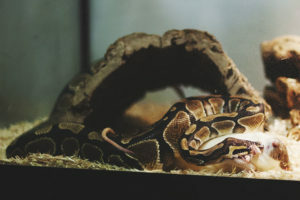 Similarly, a ball python losing its appetite may be caused by temperatures being too high or low, by a desire to mate, or even simply by a snake not being quite hungry enough to eat yet. 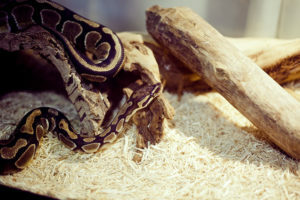 Play close attention to your ball python’s habits and eventually you will be able to tell relatively easily when your ball python is beginning the shedding process. 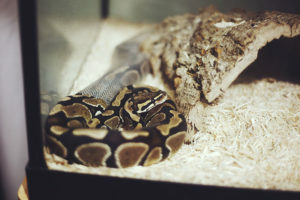 It’s important to recognize your ball python’s pre-shedding ritual at least a few days before shed, and ideally about a week or a week and a half before shed, as you will need to increase humidity (to around 65-75%) in order to make the shed take place without issues. 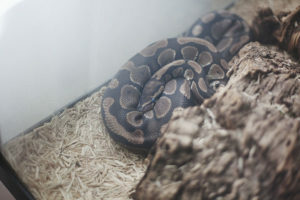 If the humidity is too low, your ball python will likely have a bad shed, and not all the skin will come off in one piece, which is what’s supposed to happen. Thus, be sure to be as attentive as possible to your pet so you can raise the humidity when any signs of an impending shed surface. My ball python is in the process where his eyes are blue but he hasn’t eaten for 3 weeks now. 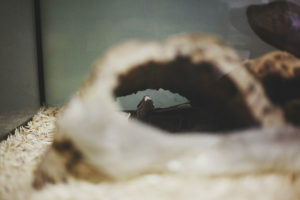 He is on small rat’s will he be okay until he is done his shed? He should be perfectly fine. If he isn’t eating after he’s done shedding, try again, and if he’s still not accepting food, maybe take him to a vet or breeder. But until he’s done shedding I’m he’ll likely be perfectly fine (they don’t like eating before shedding very much, though after their shed they often get their appetite back). I can’t remember how often Havana pooed, all depended on how often she ate (sometimes she went on hunger strikes and didn’t eat every week). 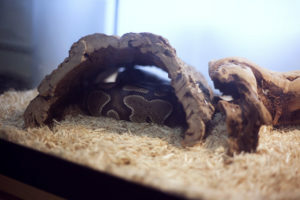 It is a good sign that your ball python ate, though, and I wouldn’t be worried about pooing too much or little, they rarely have problems with *that* end of things. 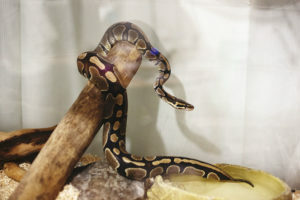 So long as your ball python is eating great, you haven’t got very much at all to be worried about! 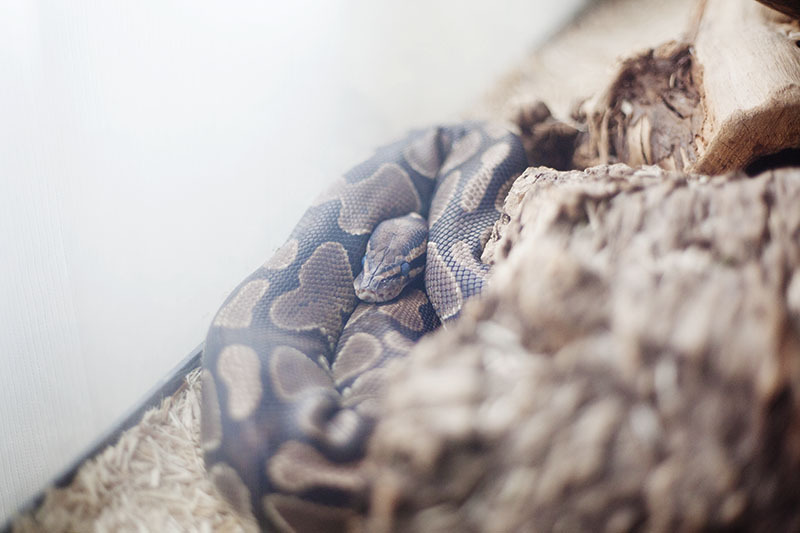 Baby ball pythons almost always wait until a shed to deficate. A yearling may still do this, or may poo a week or more after a meal.